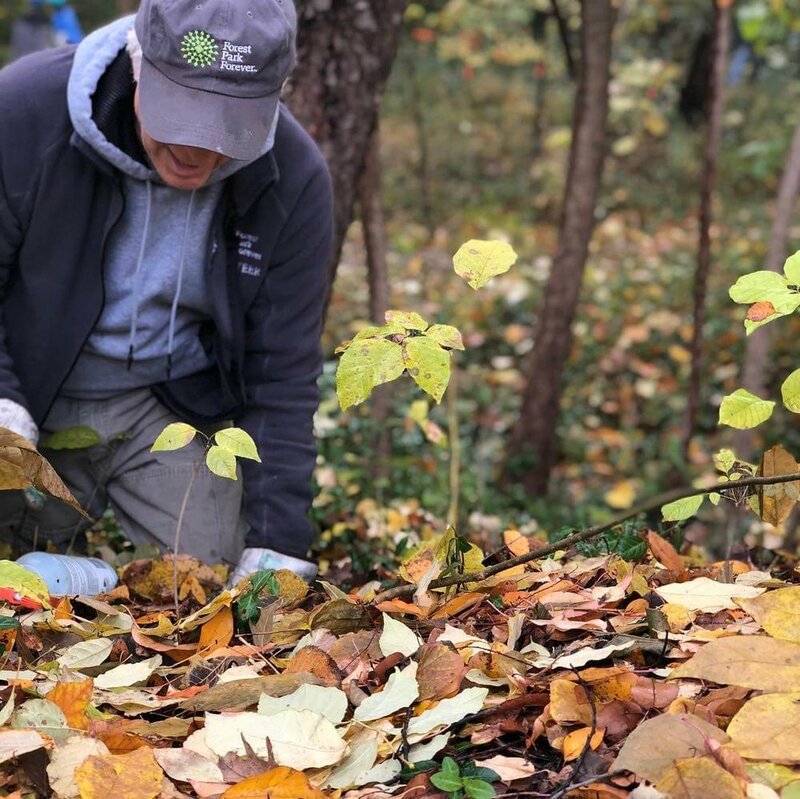 This past Saturday, amid the roar of wood chippers, more than 160 Forest Park Forever volunteers and staff — wearing gloves, goggles and boots — ventured into three acres of Forest Park’s Successional Forest for the 20th annual Invasive Removal & Forest Restoration Project Day. 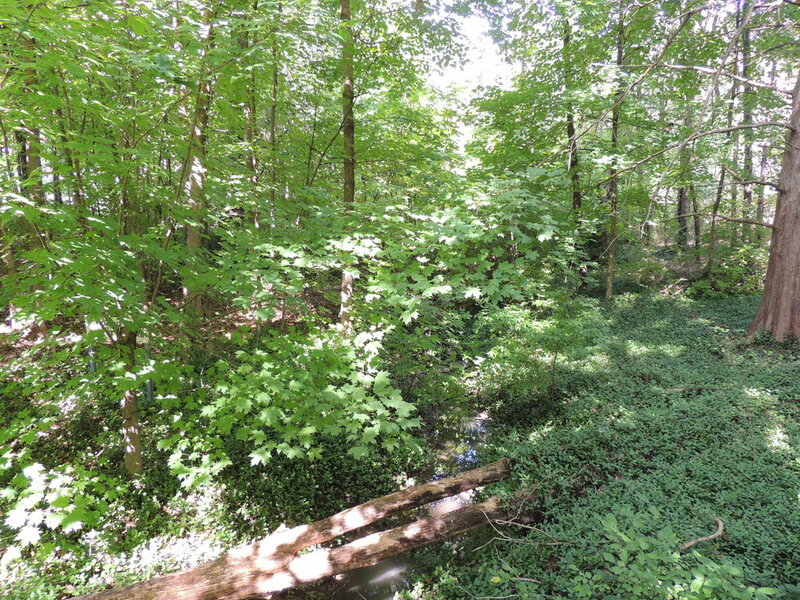 Located between McKinley Drive and Carr Lane Drive, the forest behind Witt was thick with honeysuckle, white mulberry, Norway maple, non-native cherry, catalpa and ashes as she spoke. 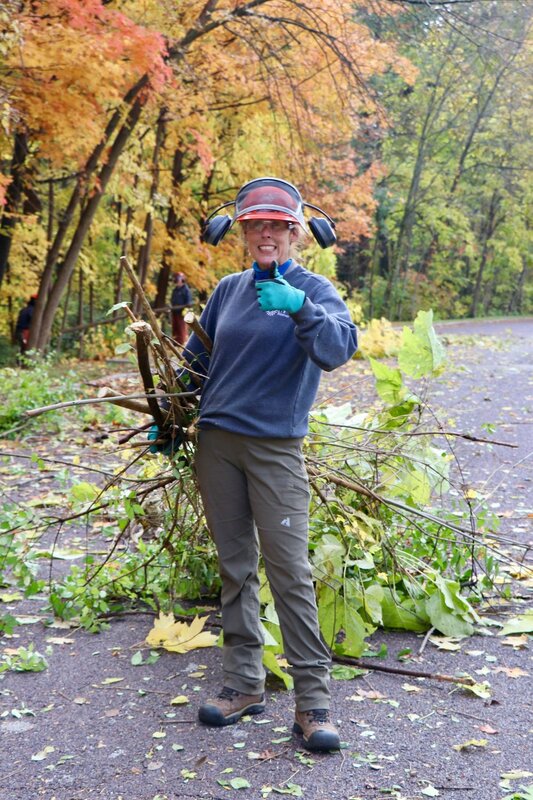 But when the volunteers had finished their cutting, spraying and hauling three hours later, they had cleared enough material to fill 10 dump trucks with wood chips, and the trail that travels the middle of the forest could be seen clearly from Carr Lane Drive. This incredible undertaking also helped open up the tree canopy to allow more sunlight to penetrate to the forest floor, wildflowers and grasses. This event’s origins go back to the installation of the savanna in Kennedy Forest across from Skinker Boulevard and Rosebury Avenue on the Park’s western border. Gary Schimmelpfenig started the project using carefully processed regional genotype seeds he and fellow members of the Kennedy Woods Advisory Group (KWAG) had gathered for the savanna. 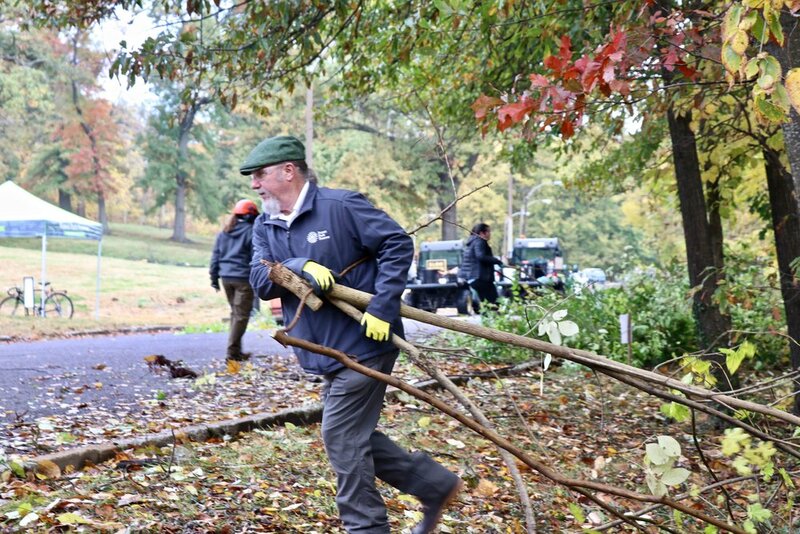 Fifteen years later Gary became a Forest Park Forever volunteer. 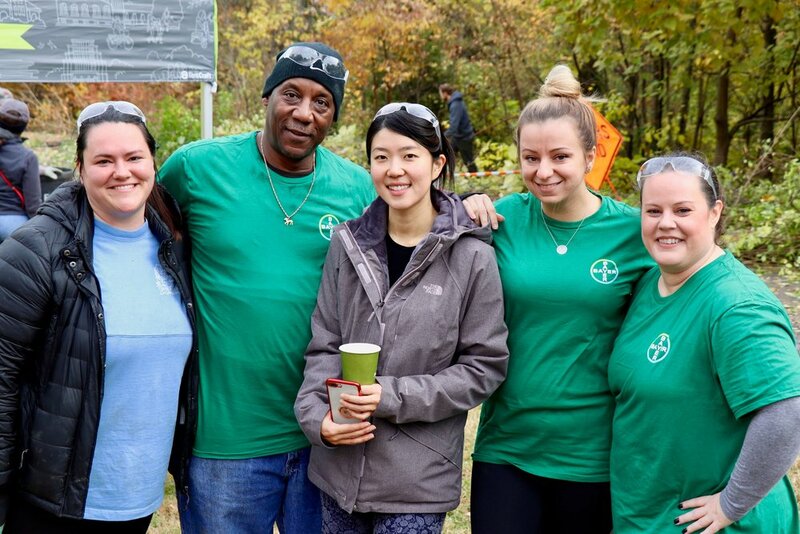 Many volunteers attended the November 3 event as members of community groups. 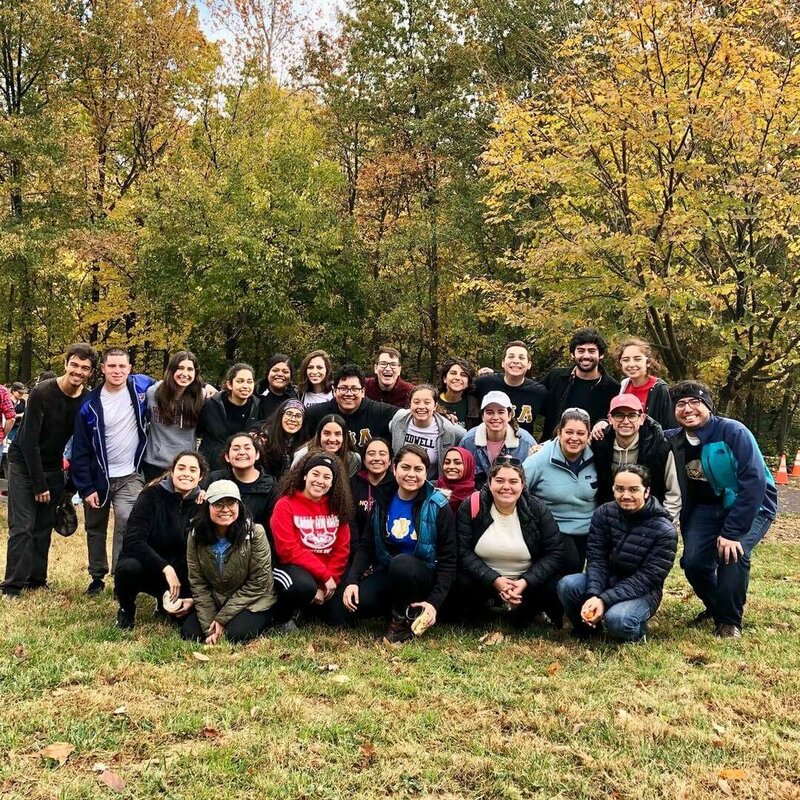 Washington University junior Sofia Miranda-Fred attended with Alpha Psi Lambda, a co-ed, Latino-interest fraternity. Other young people came from Rosati Kain High School as part of the Science National Honor Society or the Missouri Botanical Garden’s ECO-ACT program. Rosati Kain senior Alexis Robles participated because she “loves service” and bikes regularly in the Park. Local businesses joined in, as well. Diane Grimsley, a senior project manager for Tarlton Corporation, helped alongside Project Engineer Roy Jones as part of the company’s Green Team. Then there were those who came on their own, simply out of love for Forest Park.